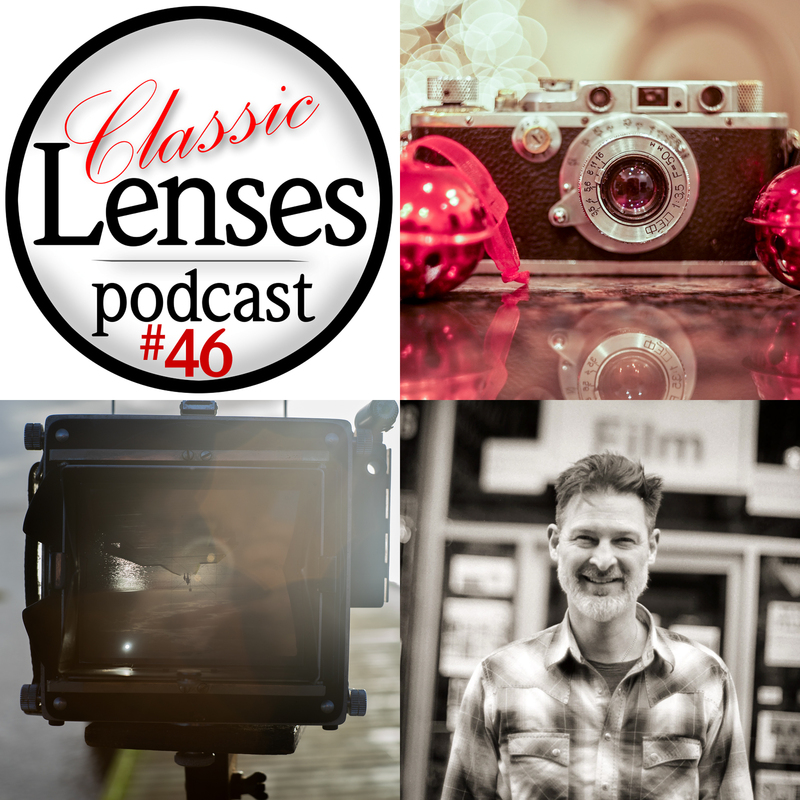 #53 Wet on Wet Bokeh! 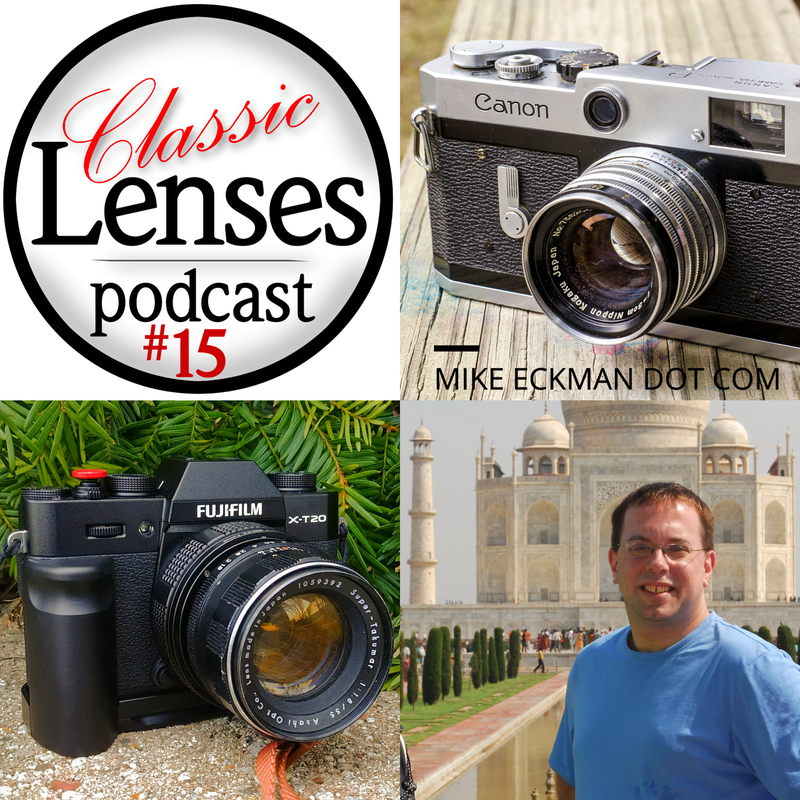 #51 The Mike & Bob Show! 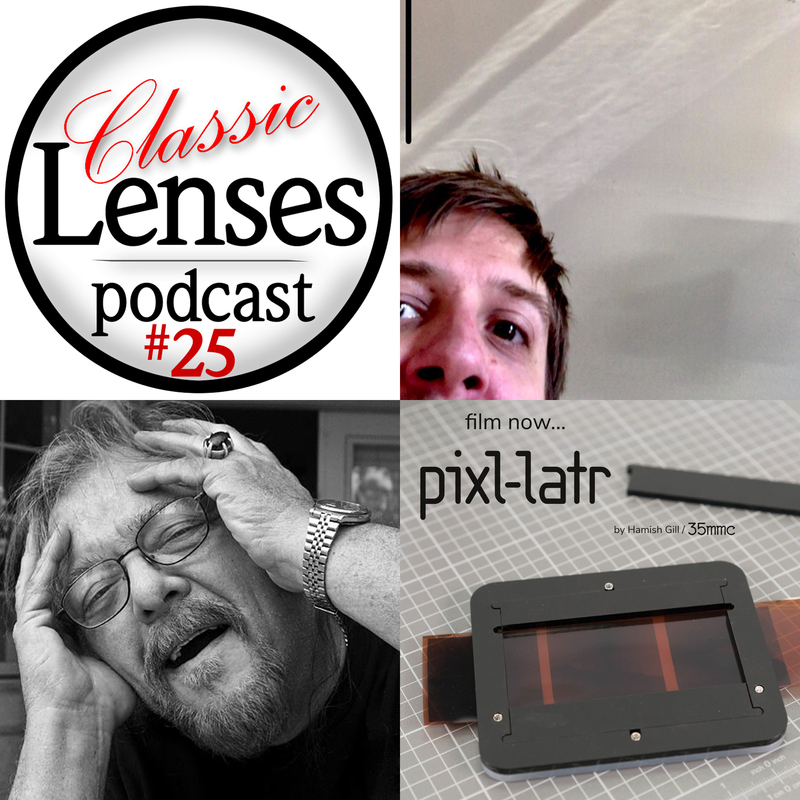 #43 The Flektogon Is Not Perfect! 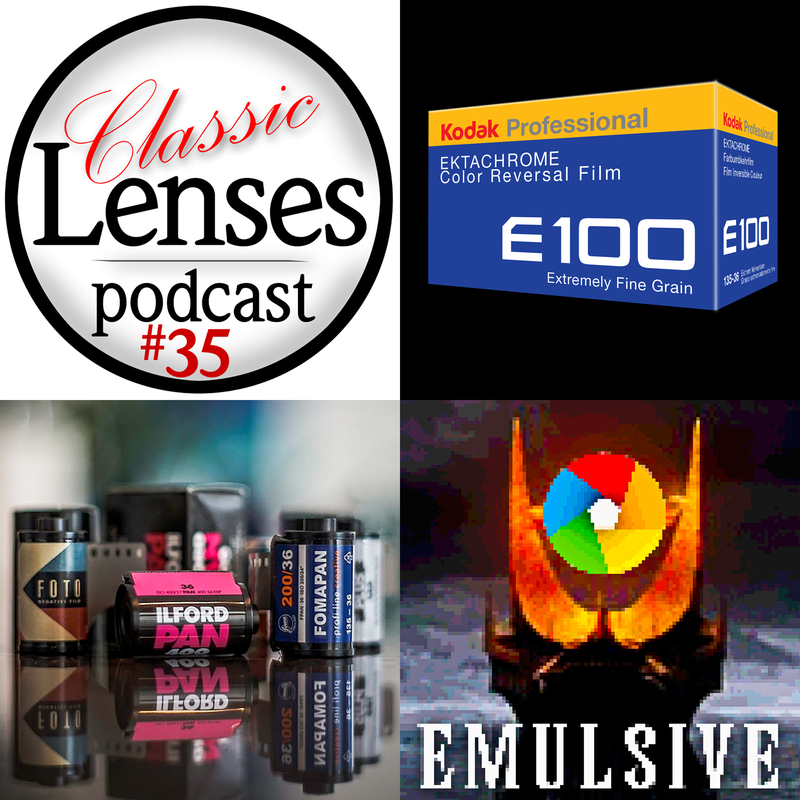 #35 Ektachrome Is Back Innit! 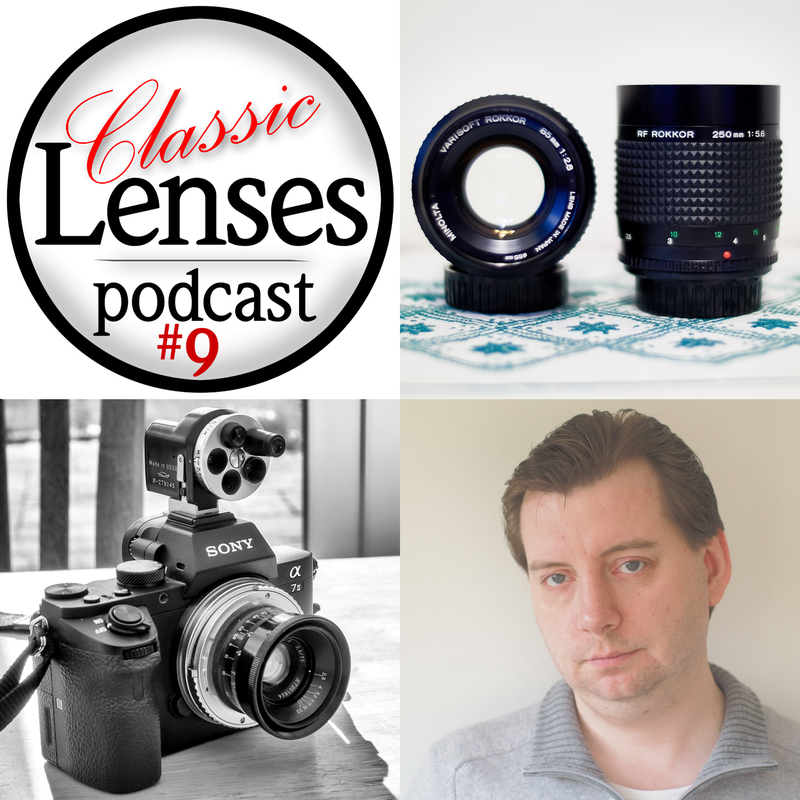 #23 Nikkor 105/2.5 (Sonnar), old lenses for fun, sensor sizes and too much analogue talk? 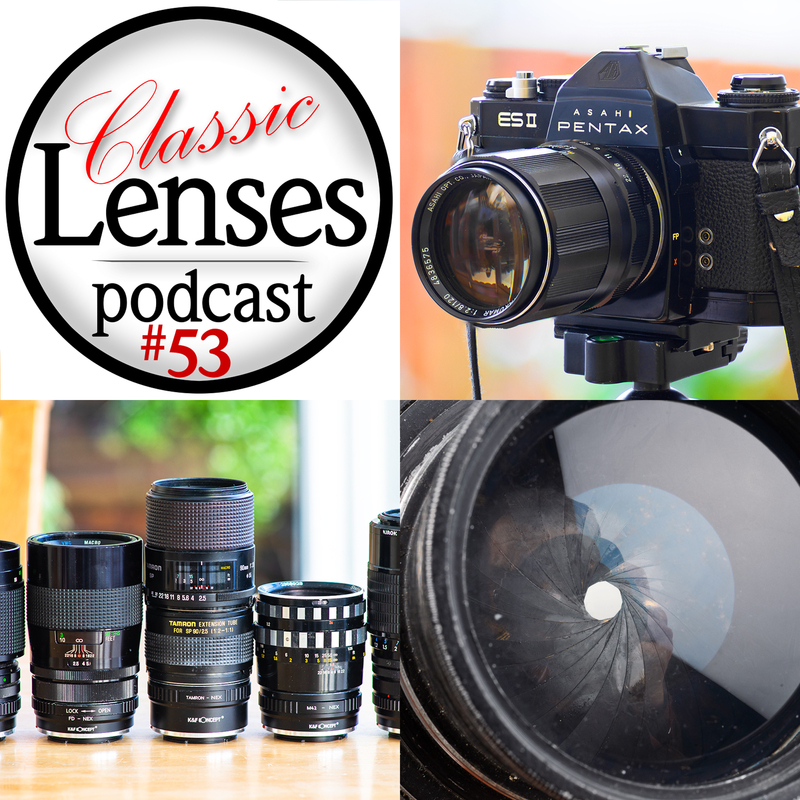 #16 Star Wars Pancolar, Opton Sonnar vs Early Jupiter-3, Canon 35mm LTM and more! 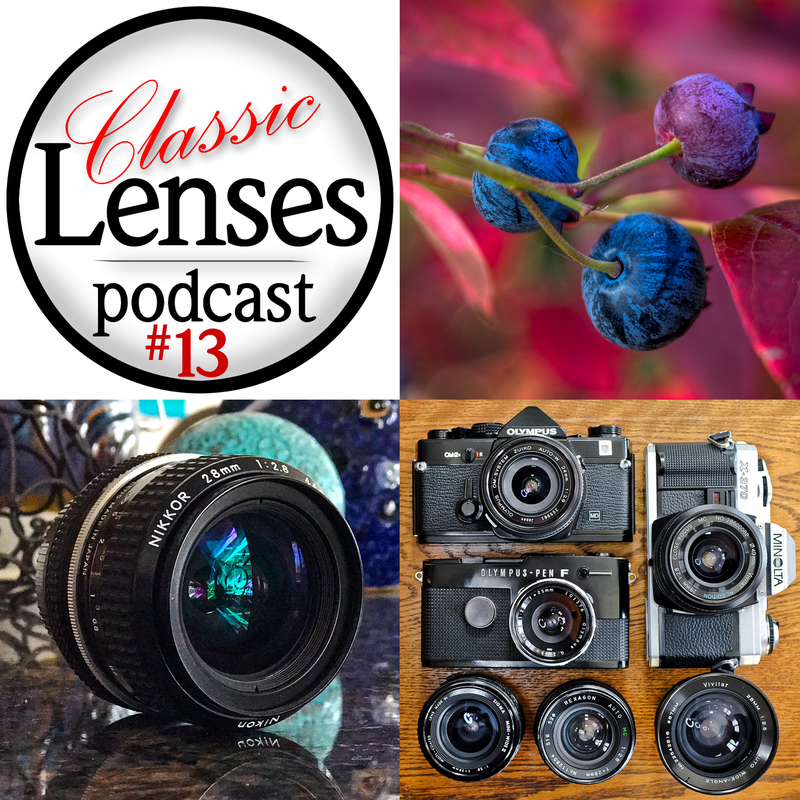 In this episode, Karl Havens, Johnny Sisson and Simon Forster cover a multitude of topics including LTM39 vs SLR lenses, a few f/1.2 lenses and as well the least informative review of the new Fuji X-H1 (a name which Simon forgets already), you'll ever hear. 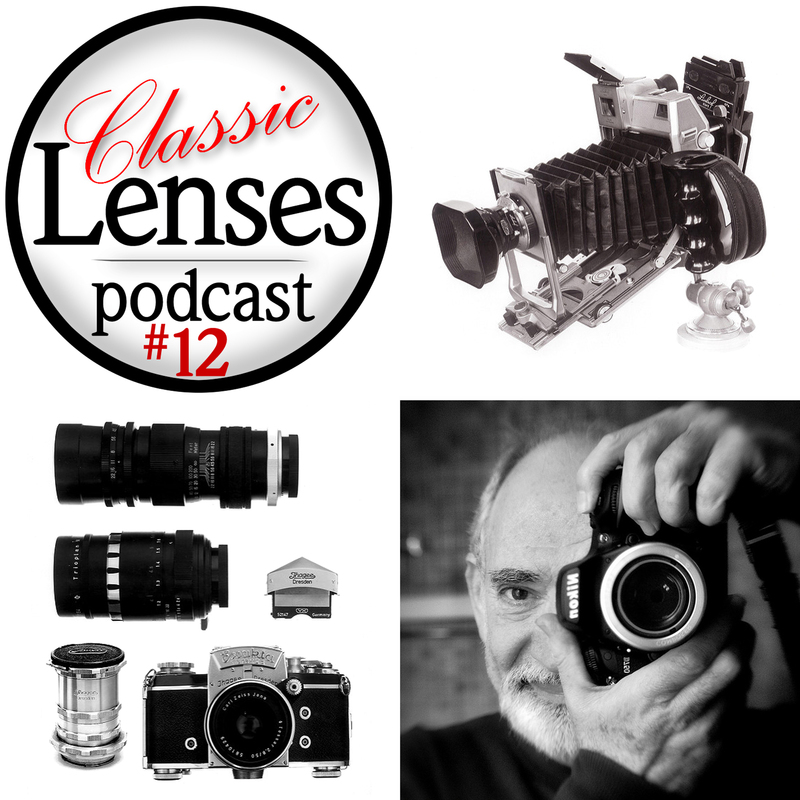 Adult Entertainment Industry photographer, James Giordano joins us to talk about portrait shooting from the days of film through to digital and his hobby photography with classic lenses. 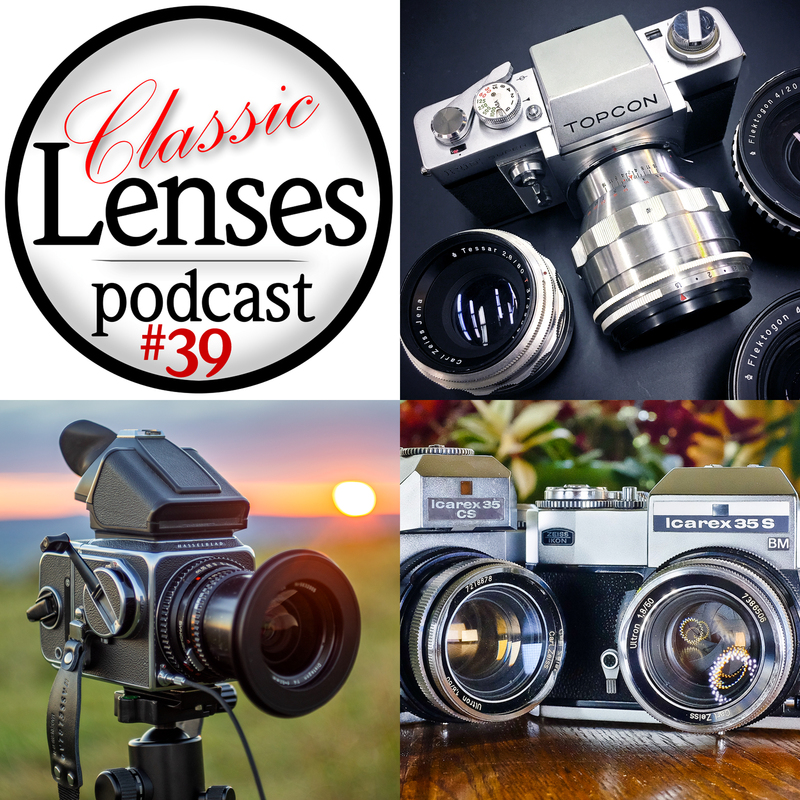 This week we talk about the Jupiter-8 and Jupiter-9 and Karl proves his sophistication with the Jupiter-3. 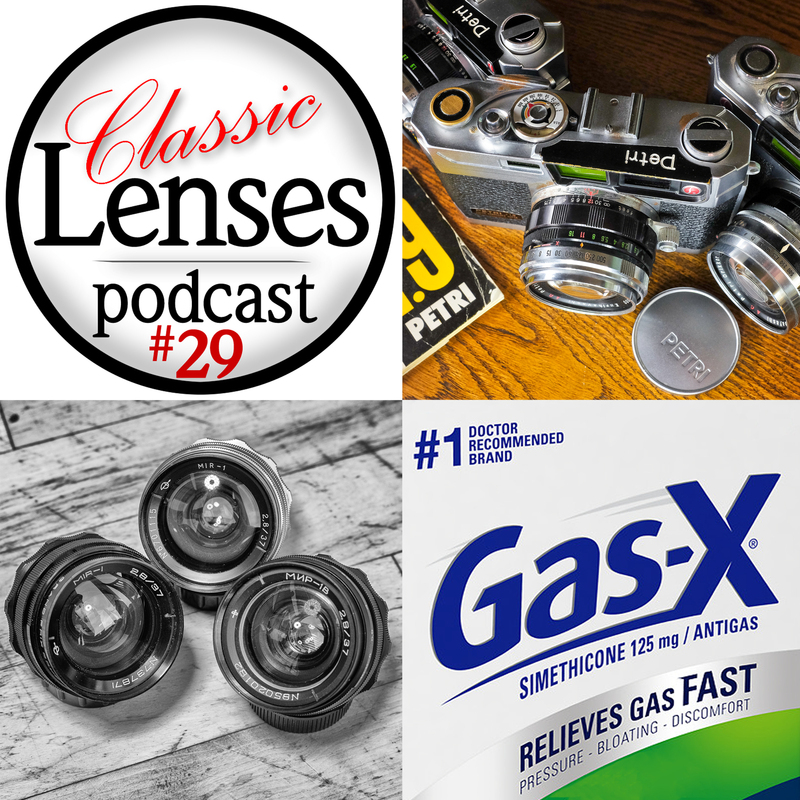 Plus a detailed explanation of the lens cleaning technique known as sand socking. 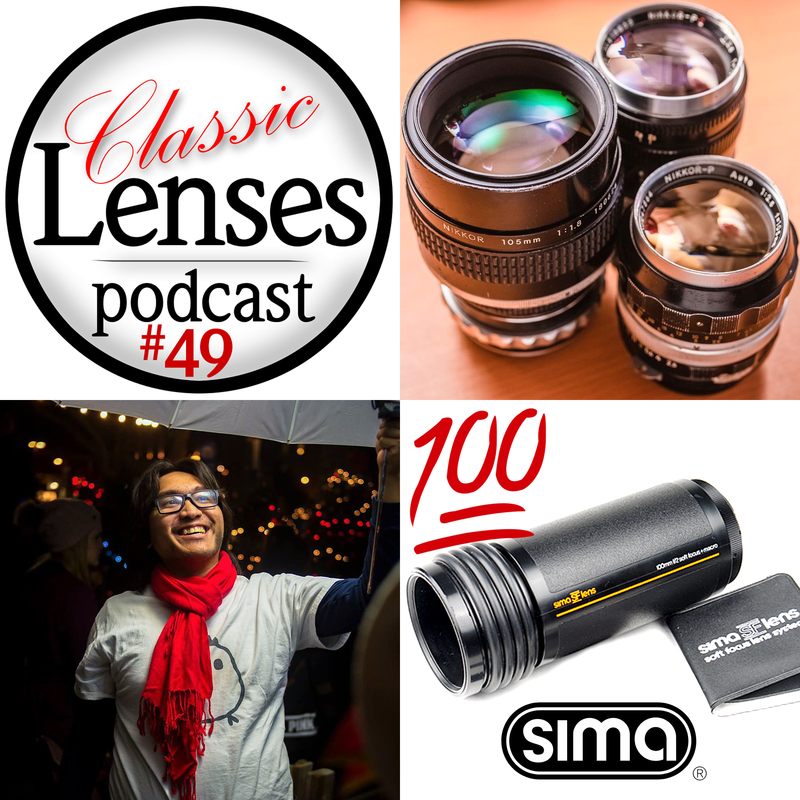 The most popular lens ever? 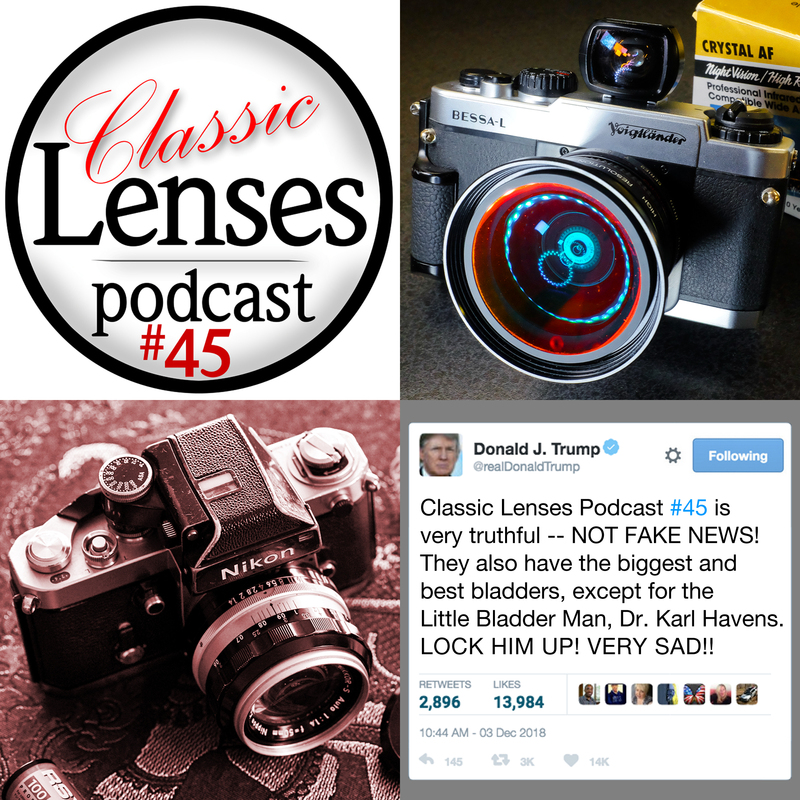 The Helios-44 and it's variants including fake 44M-7's. 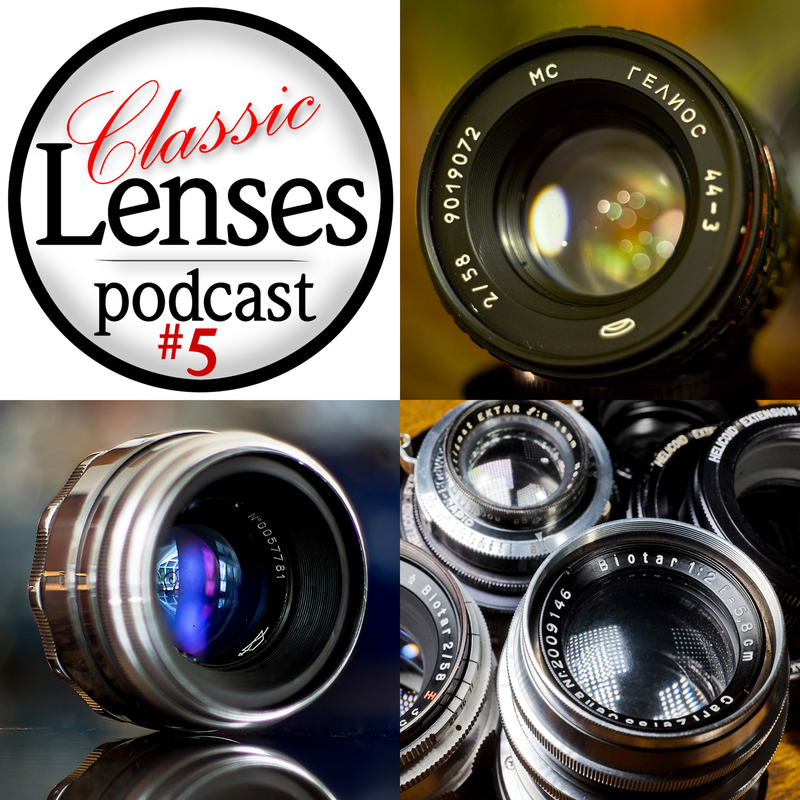 We also talk about focussing helicoids. 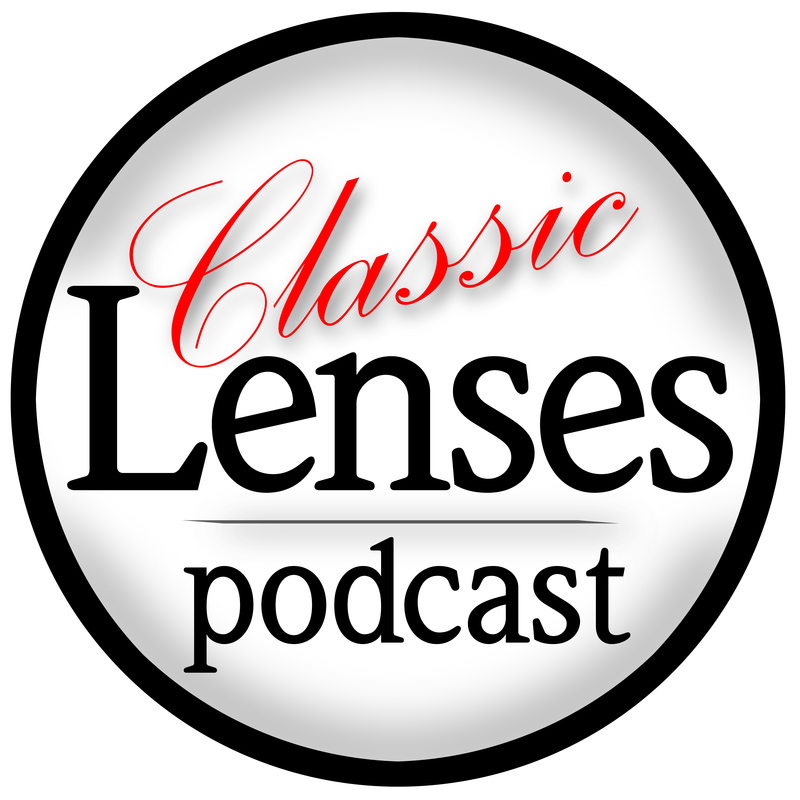 Joining us for the discussion is Ήμων Παπαδανιήλ (Imon). 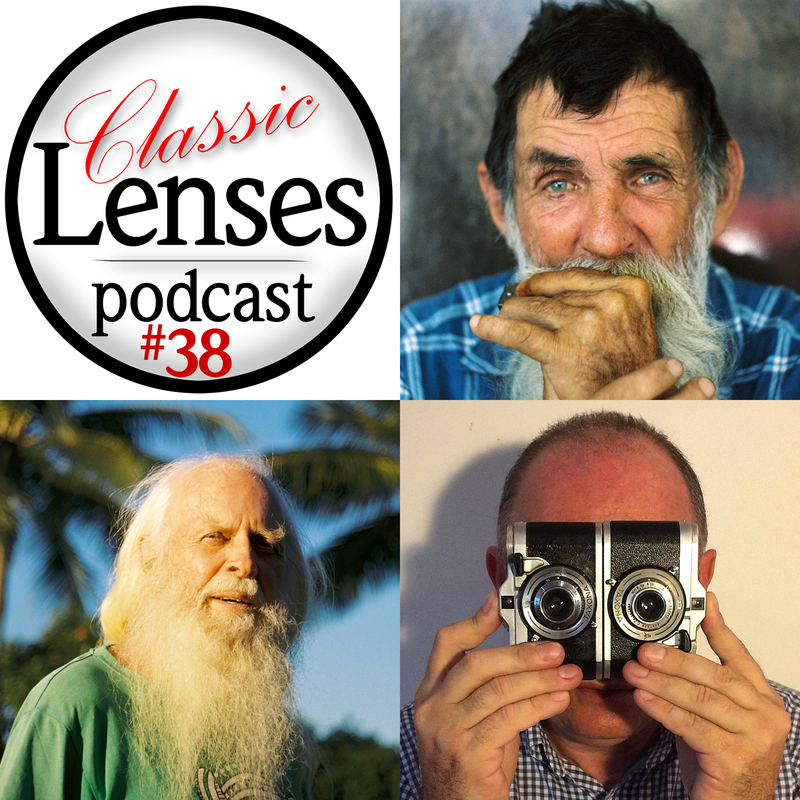 Karl Havens, Johnny Sisson and Simon Forster talk about the camera bodies we use to shoot with classic and manual focus lenses. 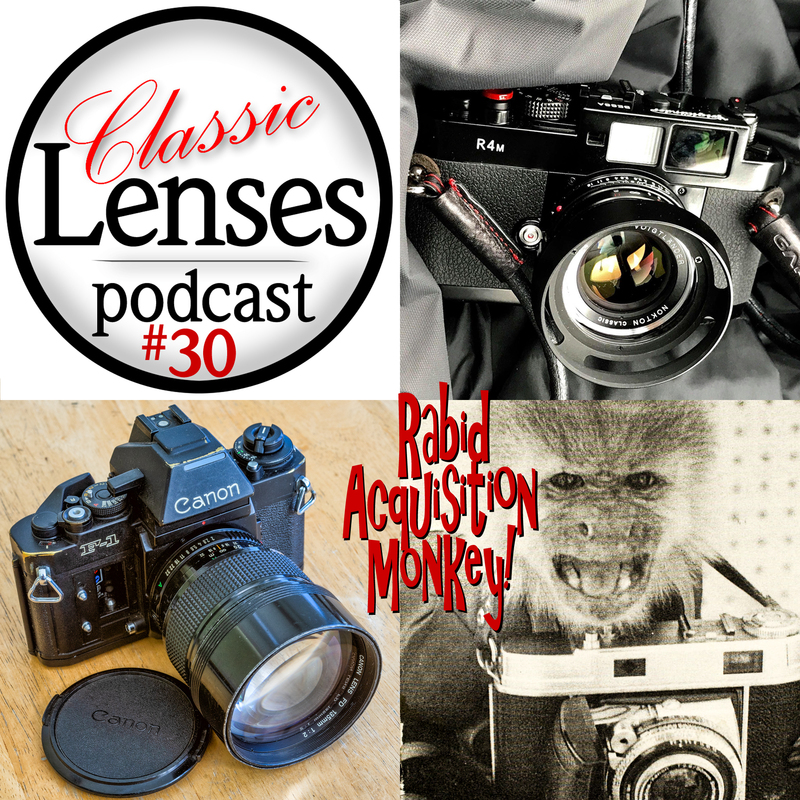 How not to say "Takumar" plus radiation, yellowing and new arrivals. 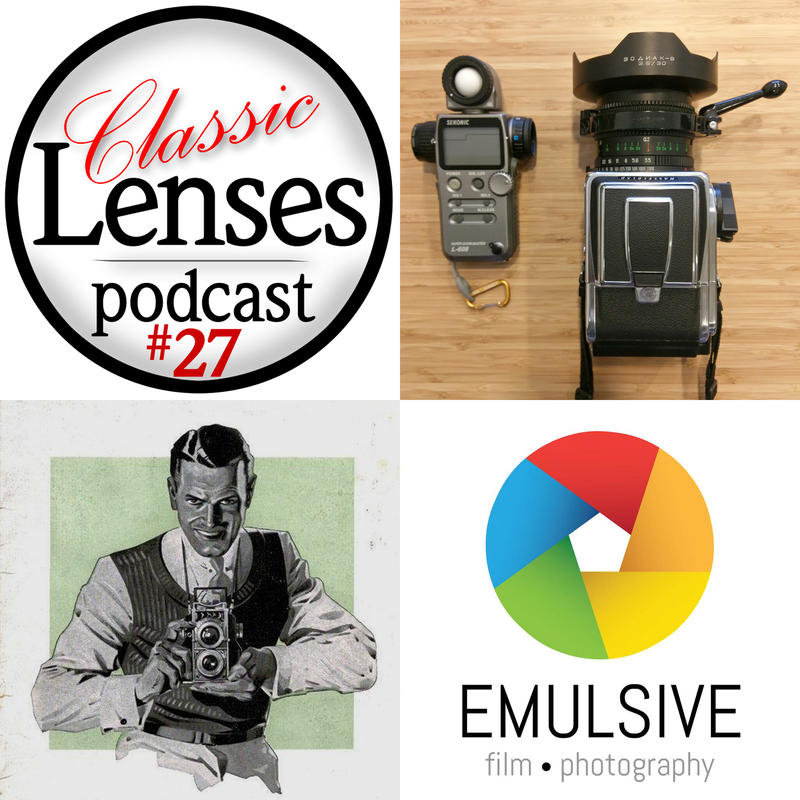 Plus Topcon RE, Canon LTM 35/2.8 & Hasselblad 500C/M snippets. 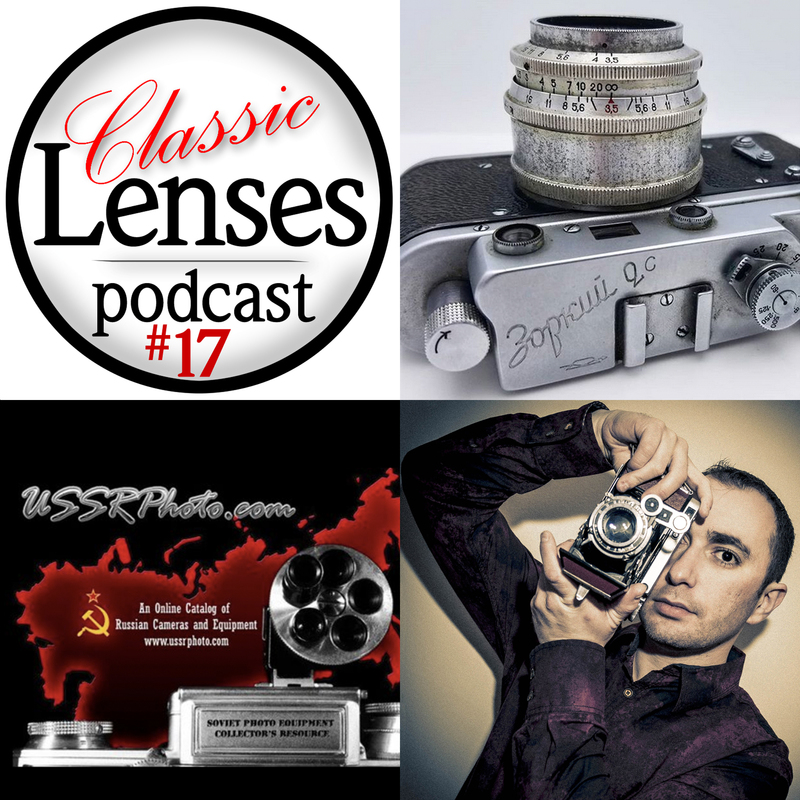 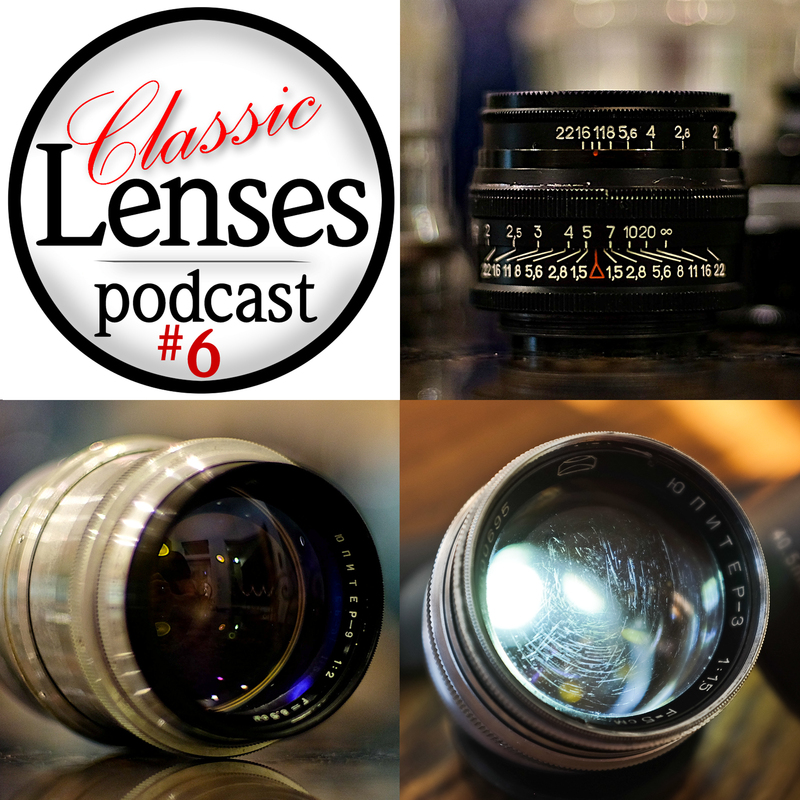 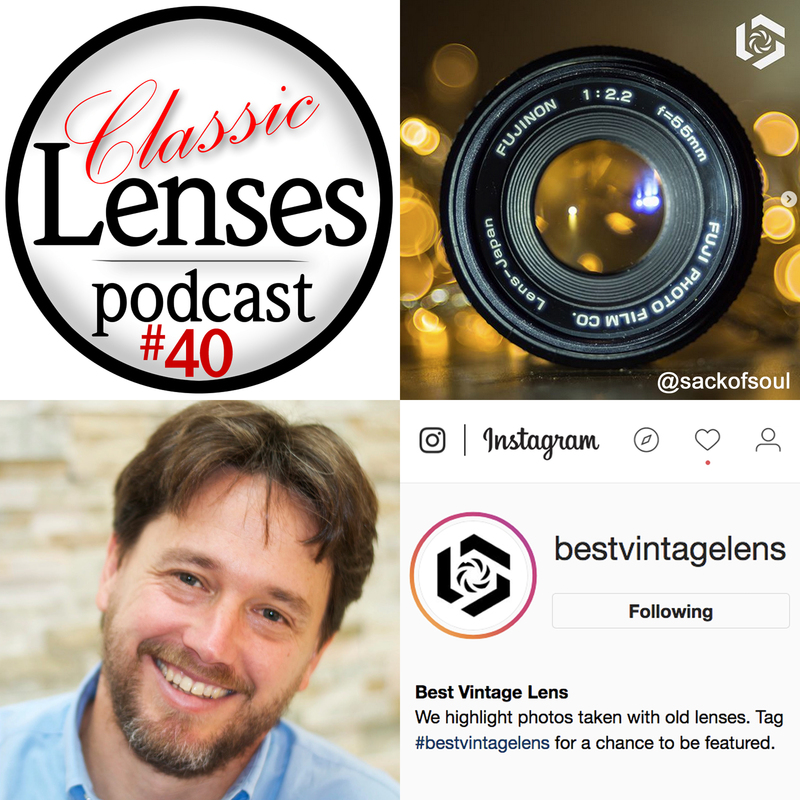 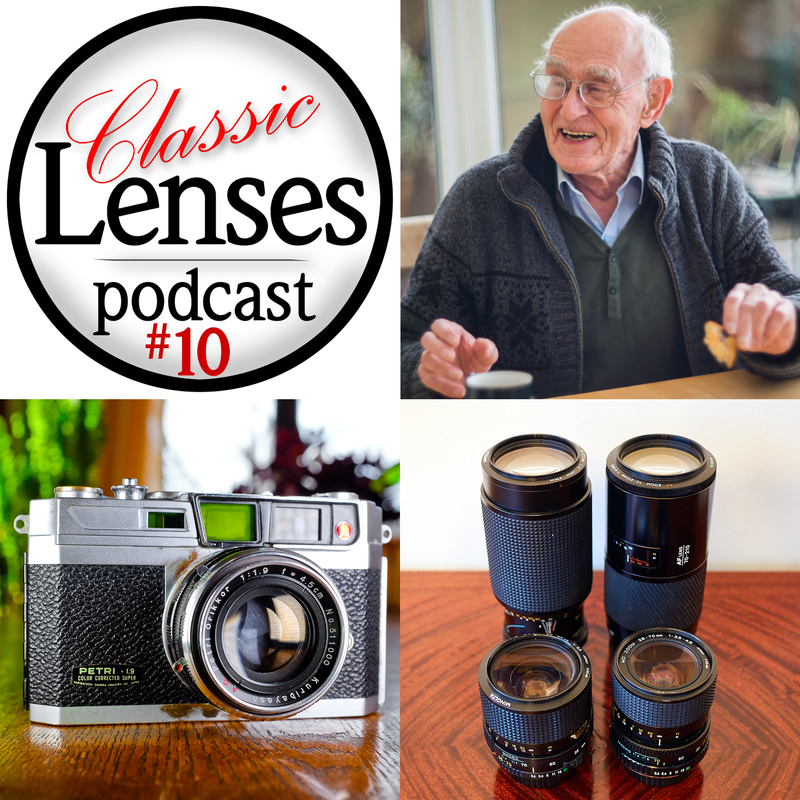 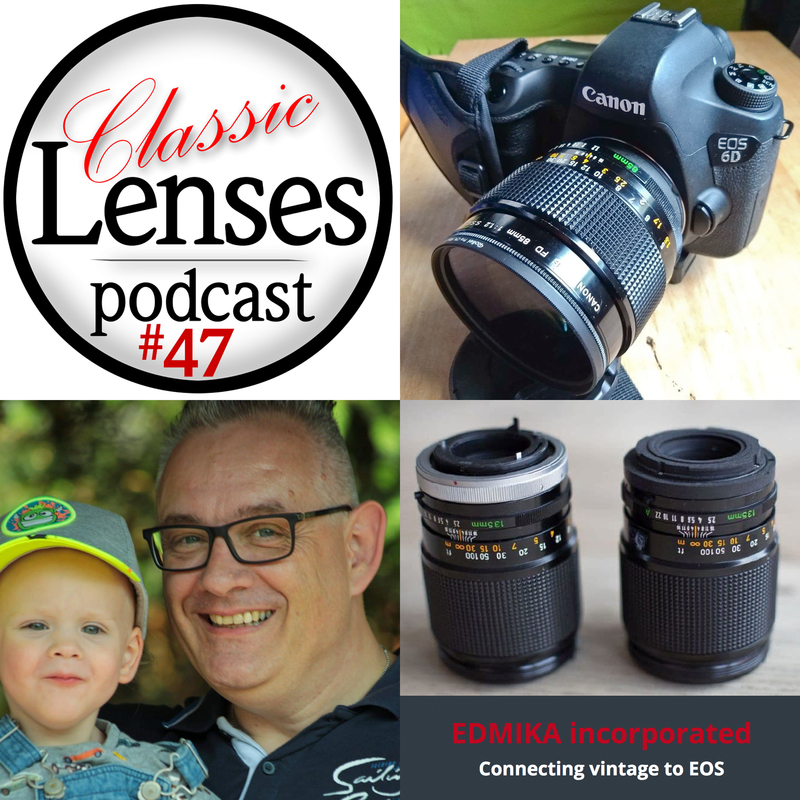 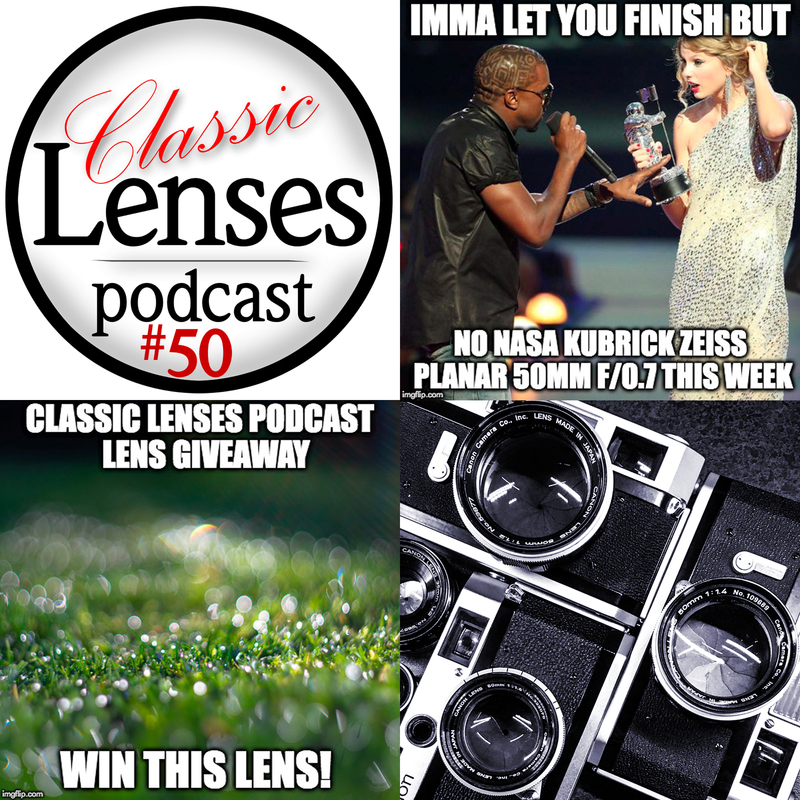 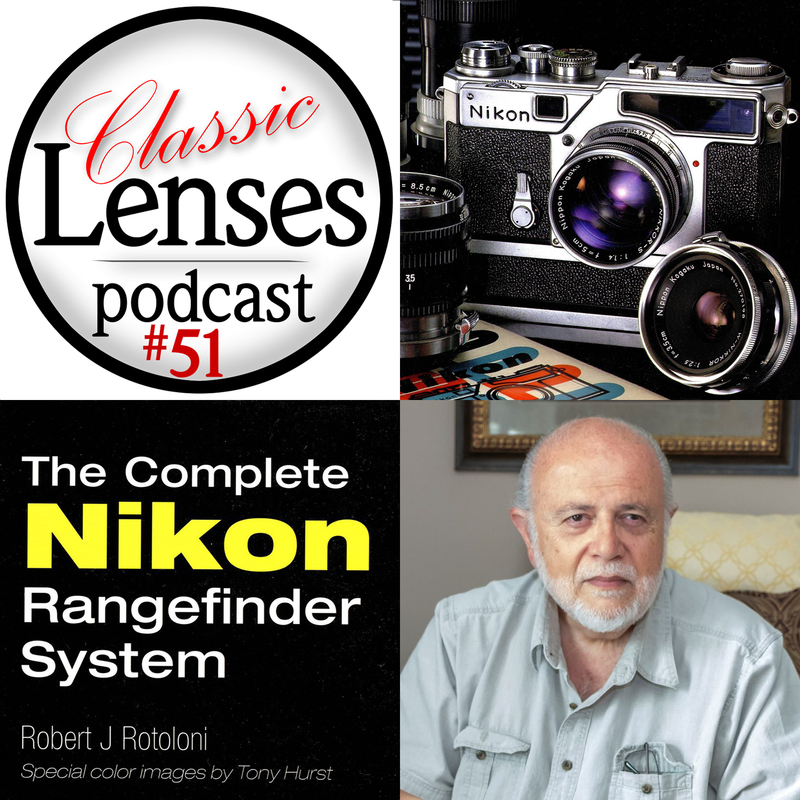 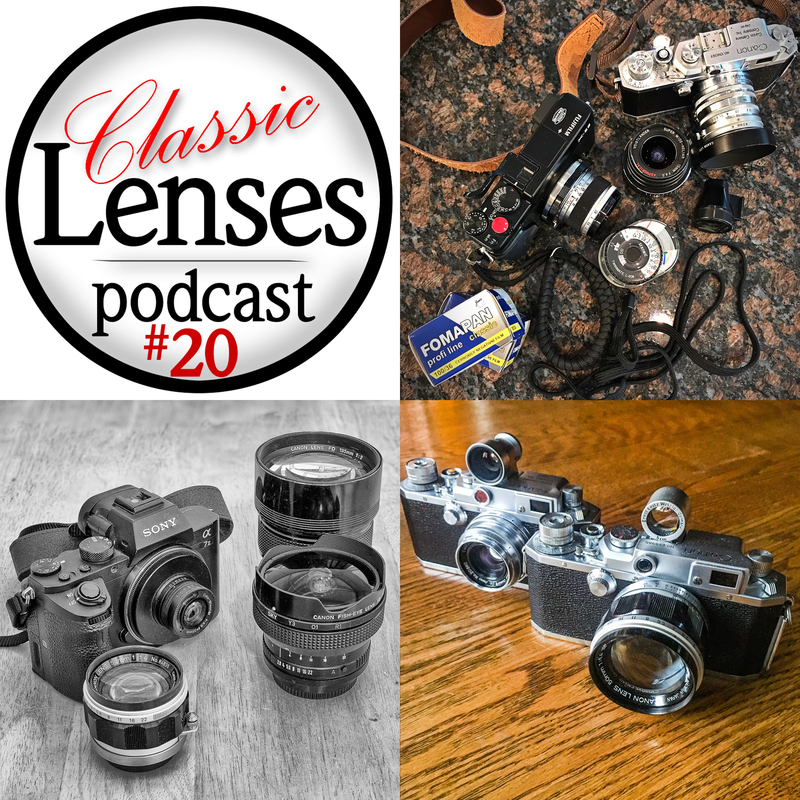 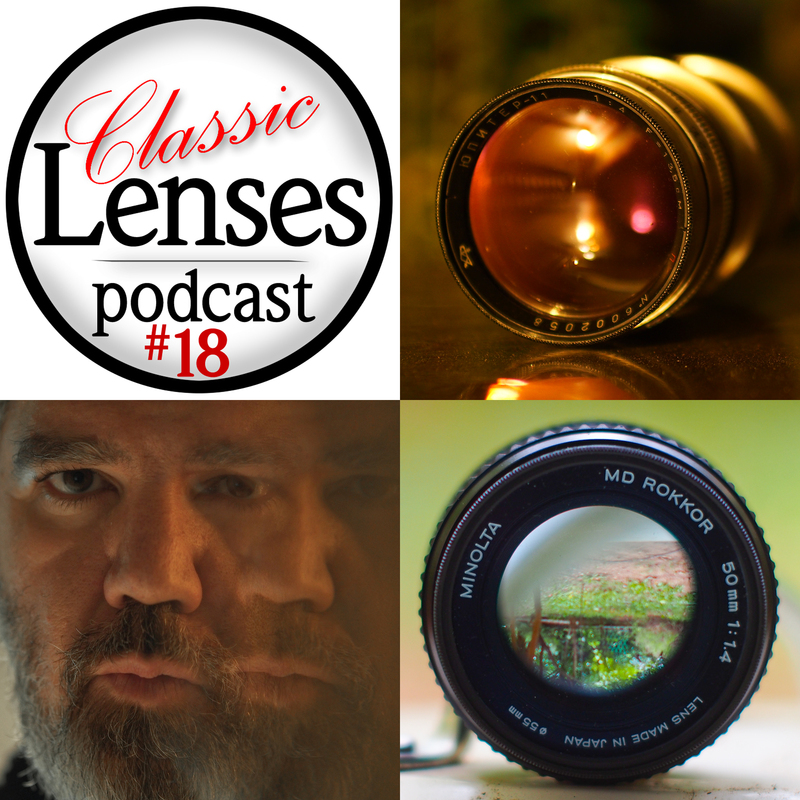 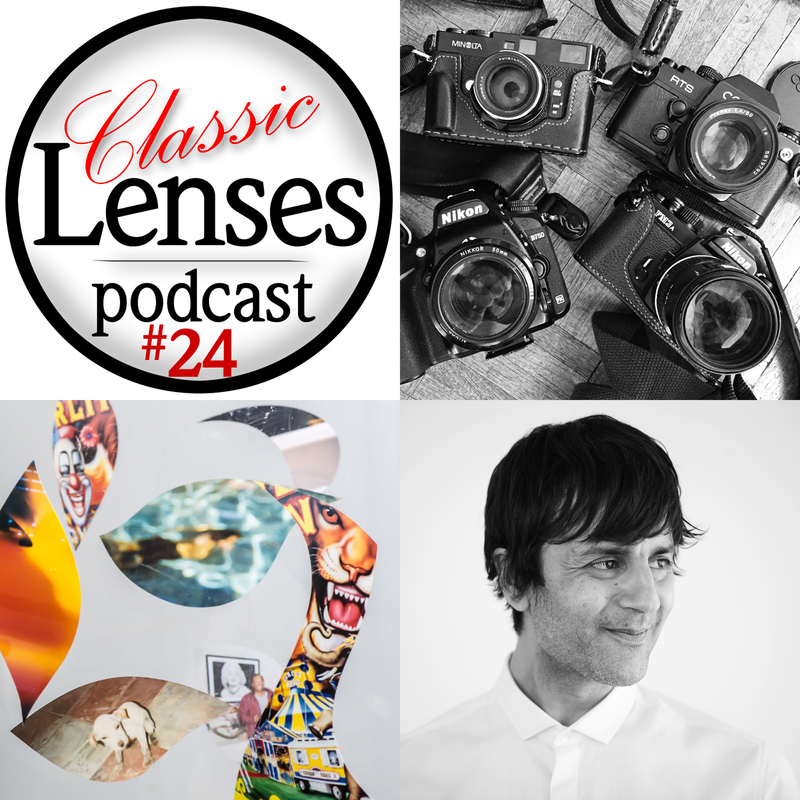 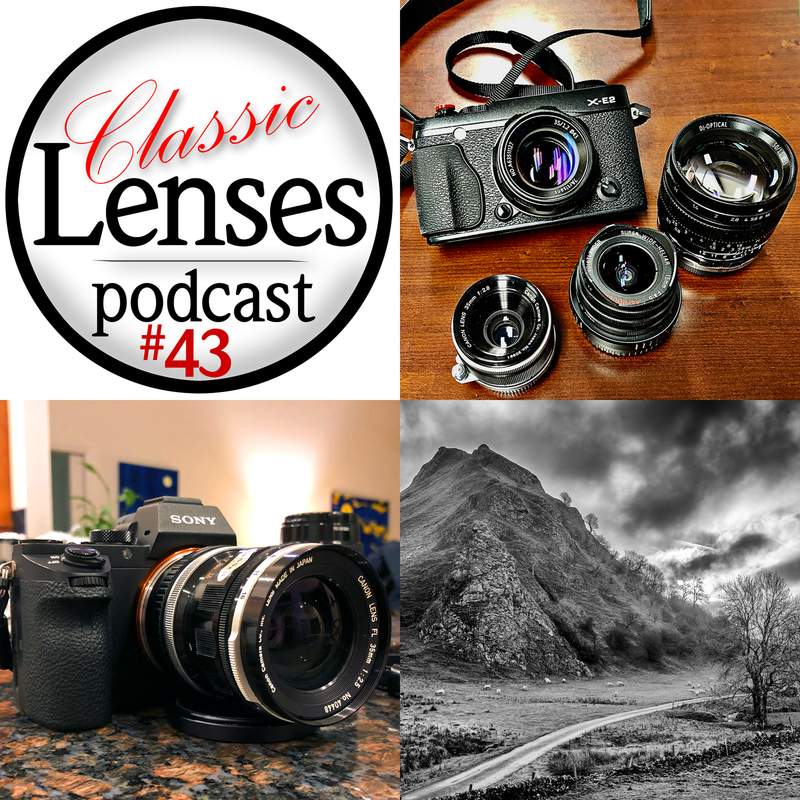 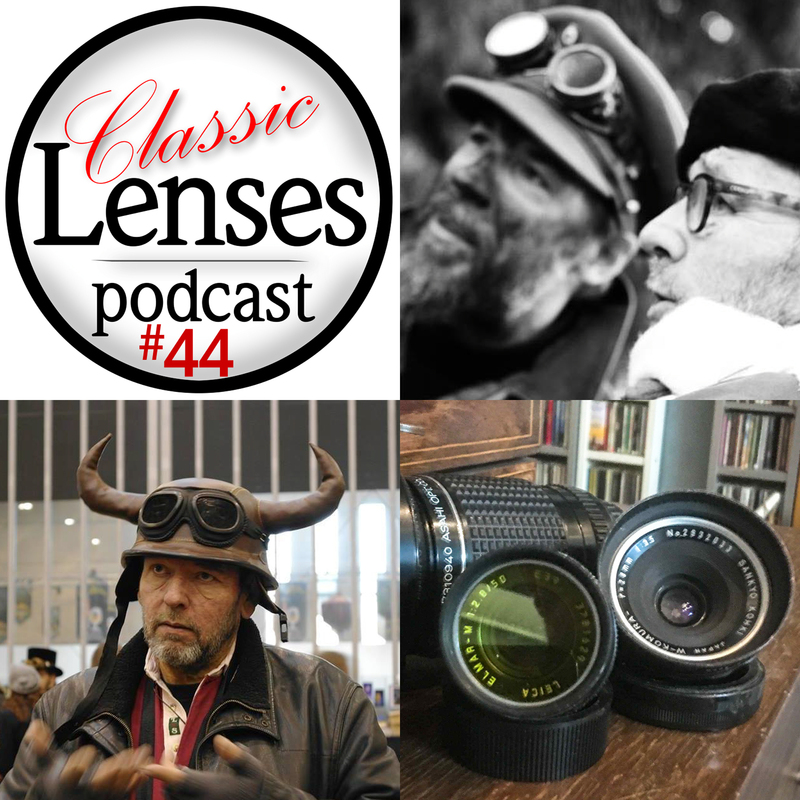 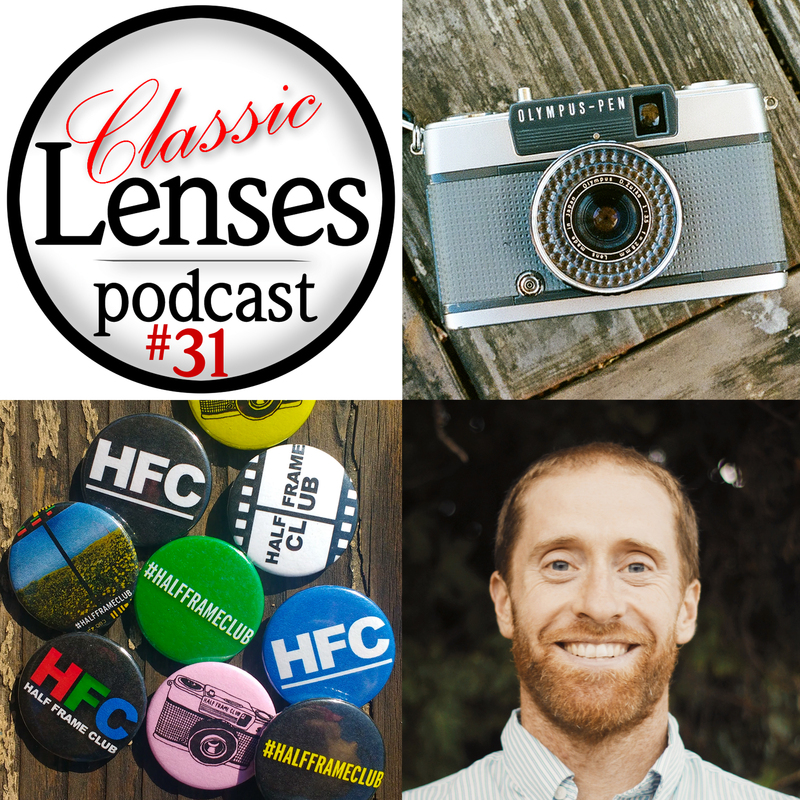 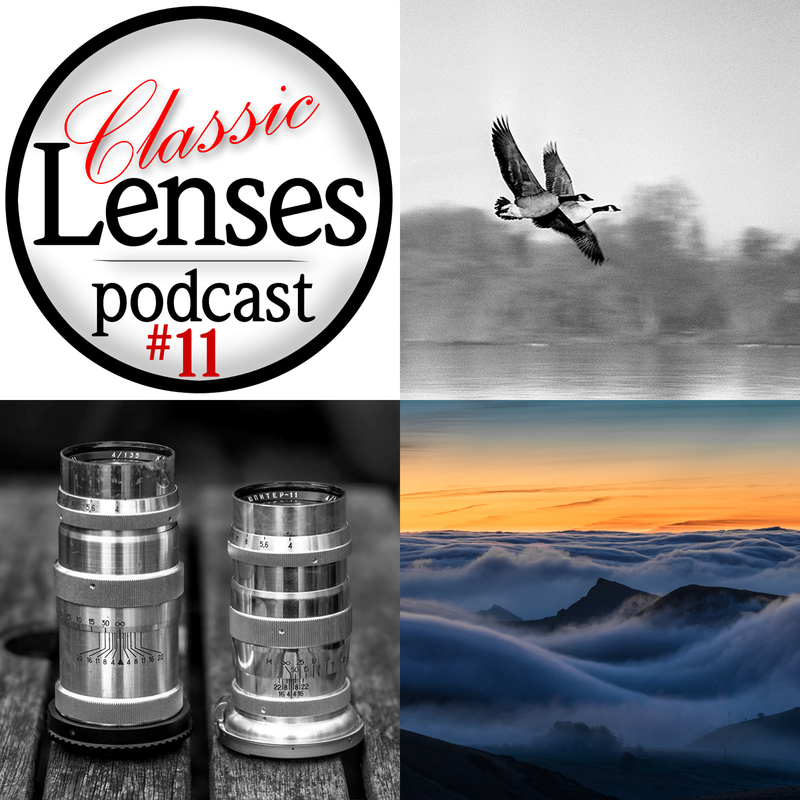 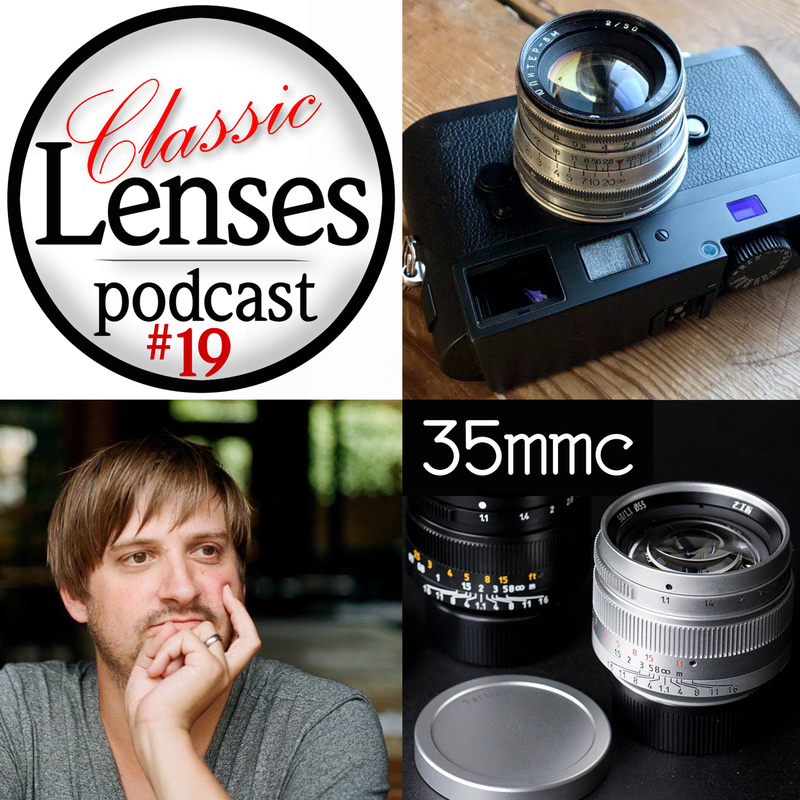 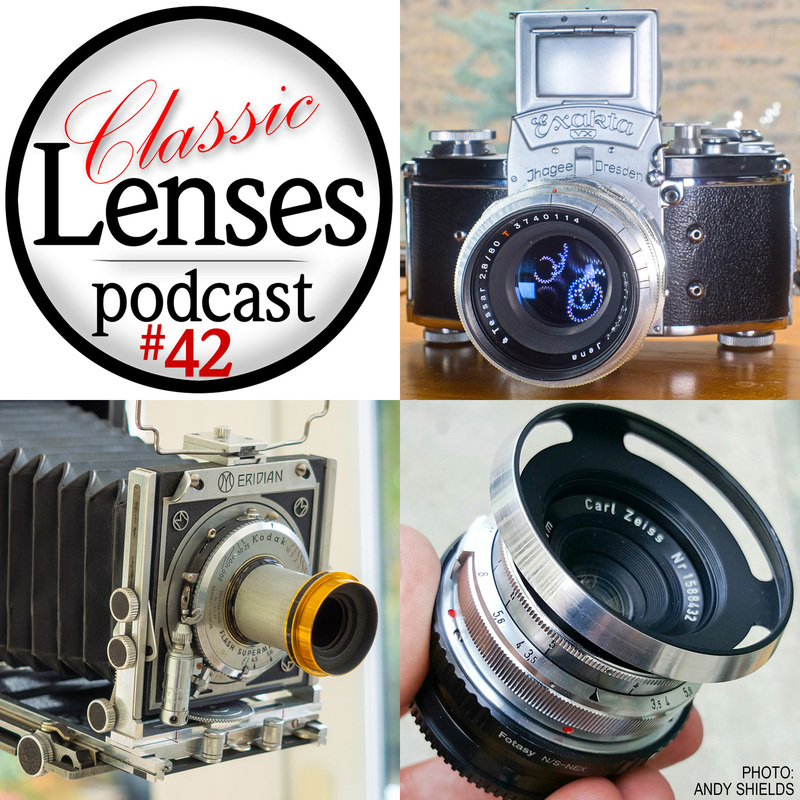 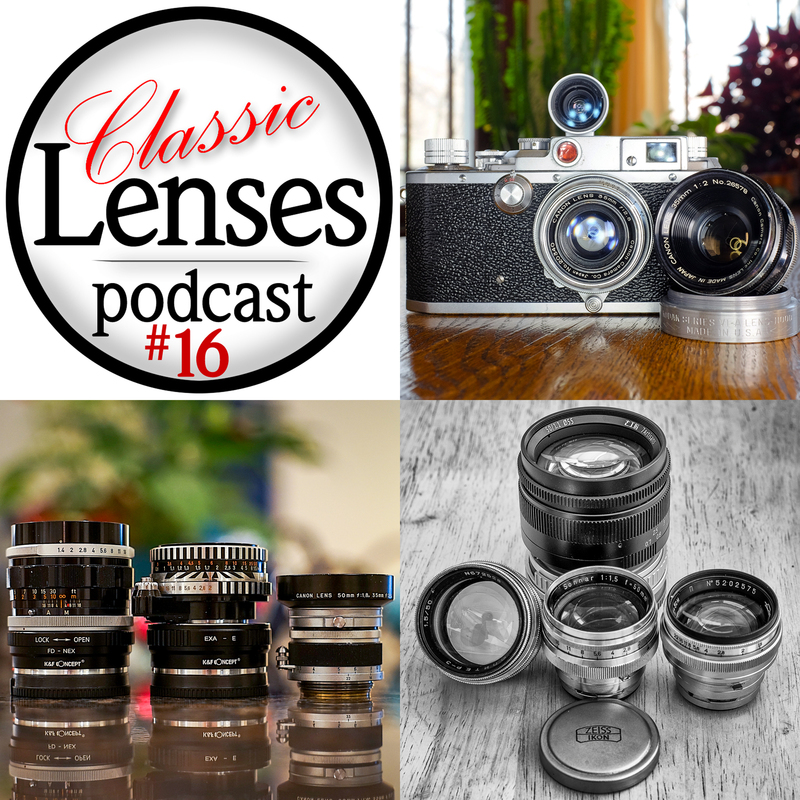 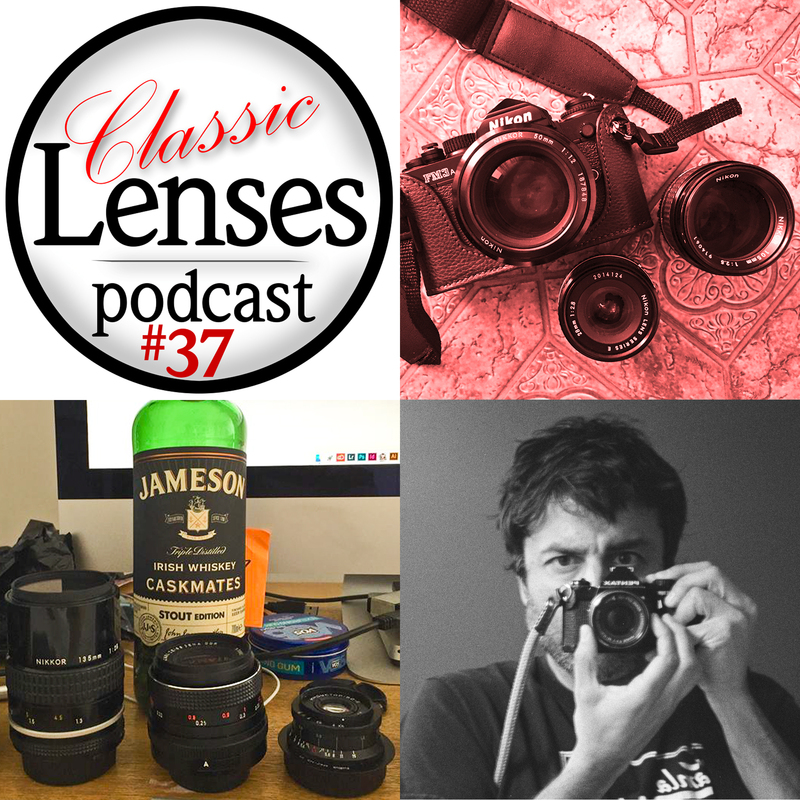 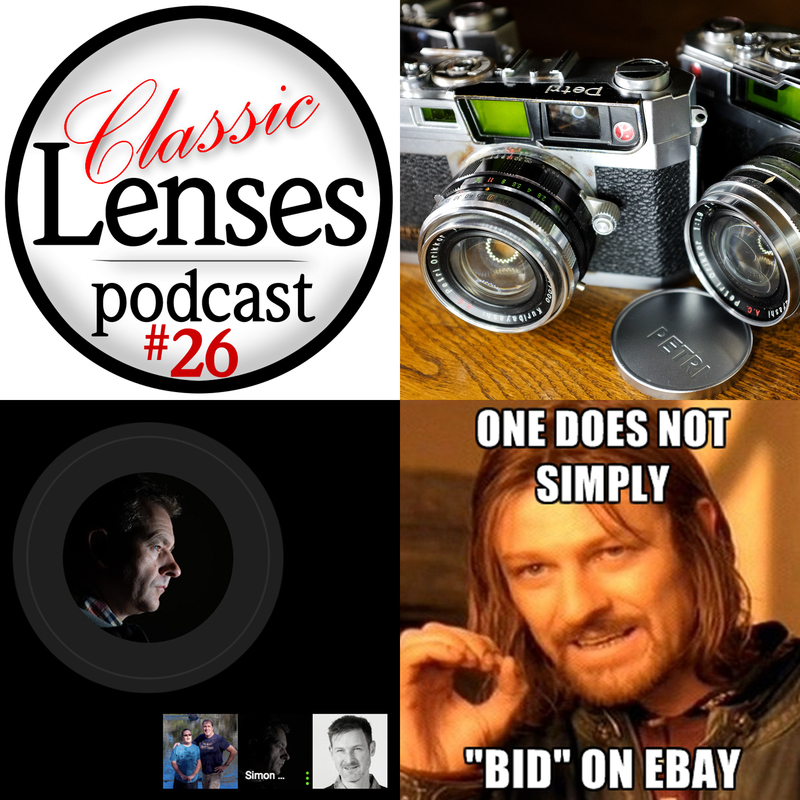 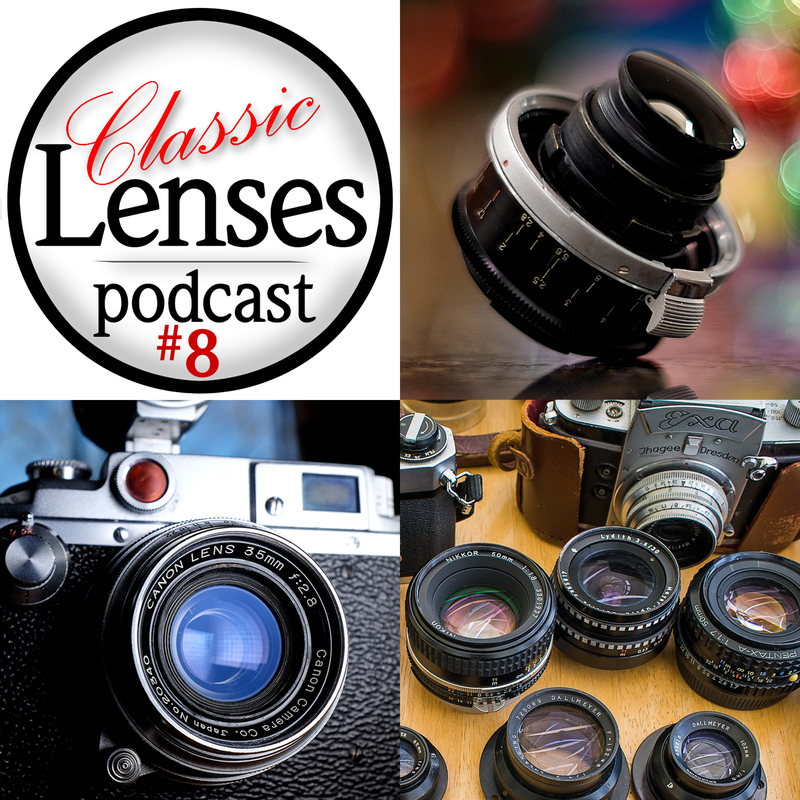 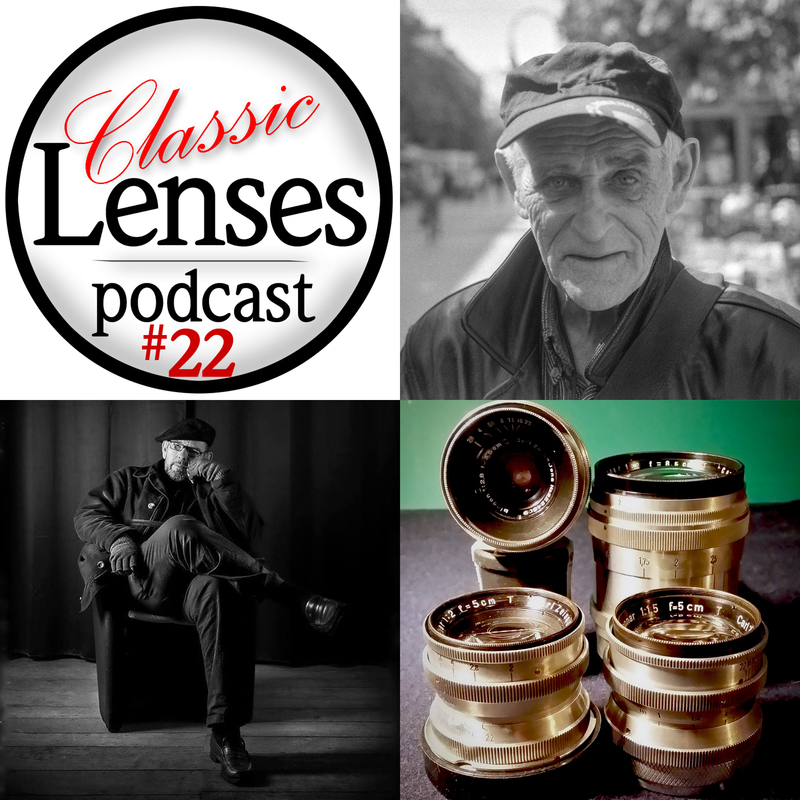 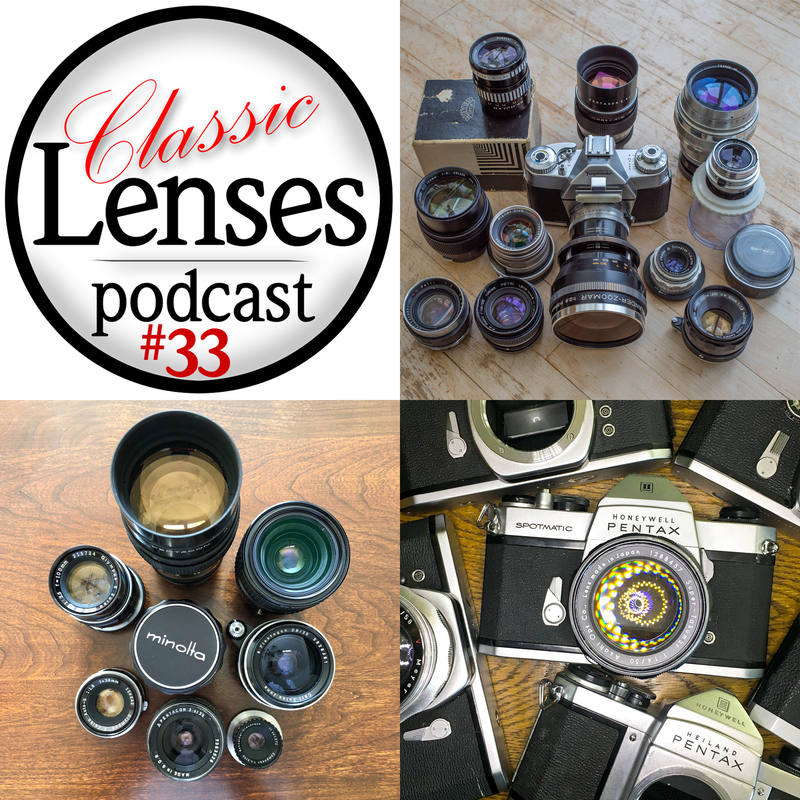 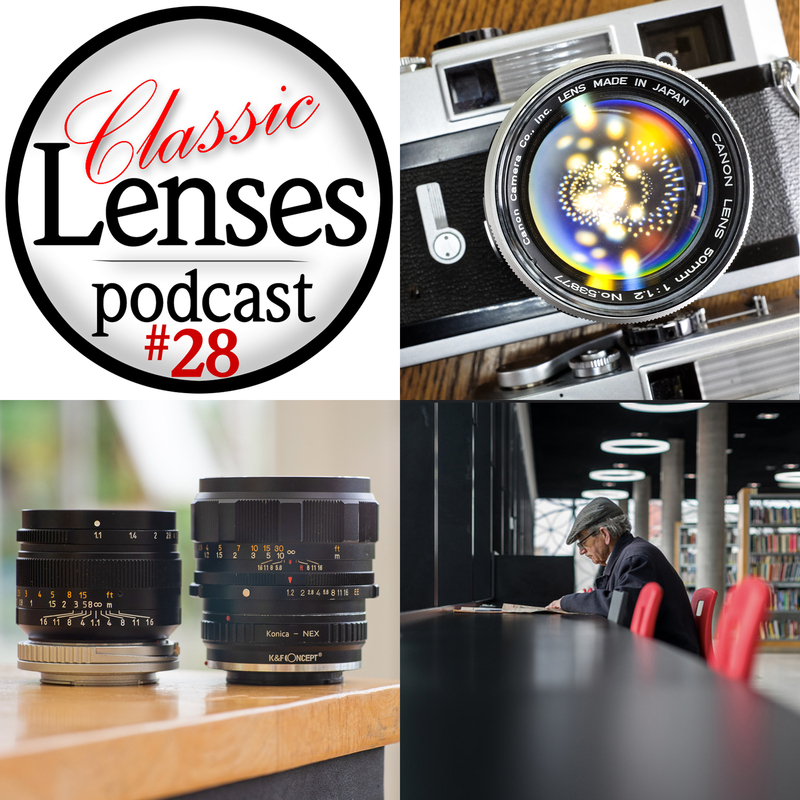 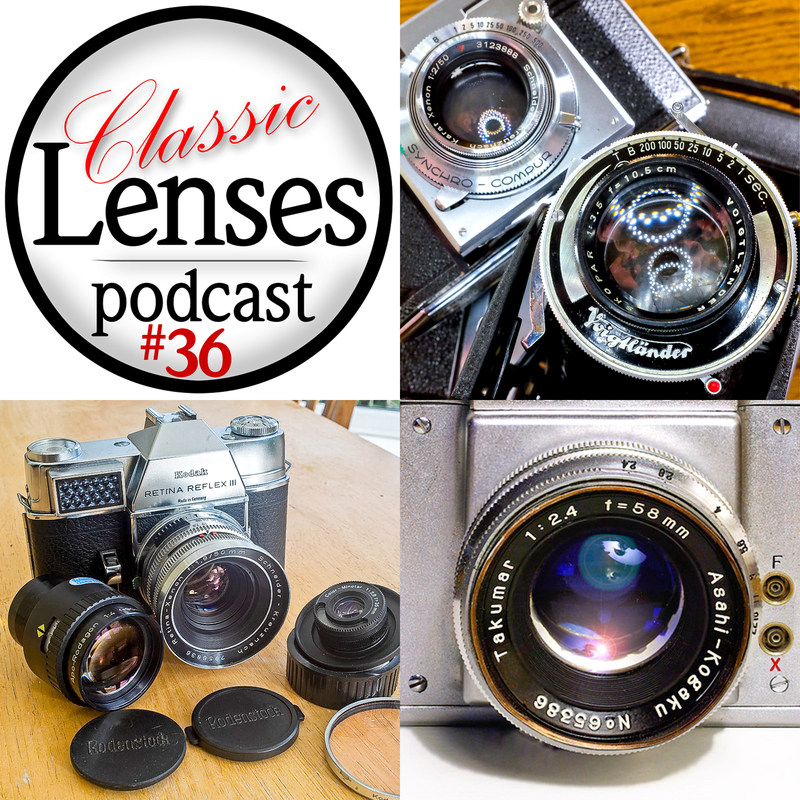 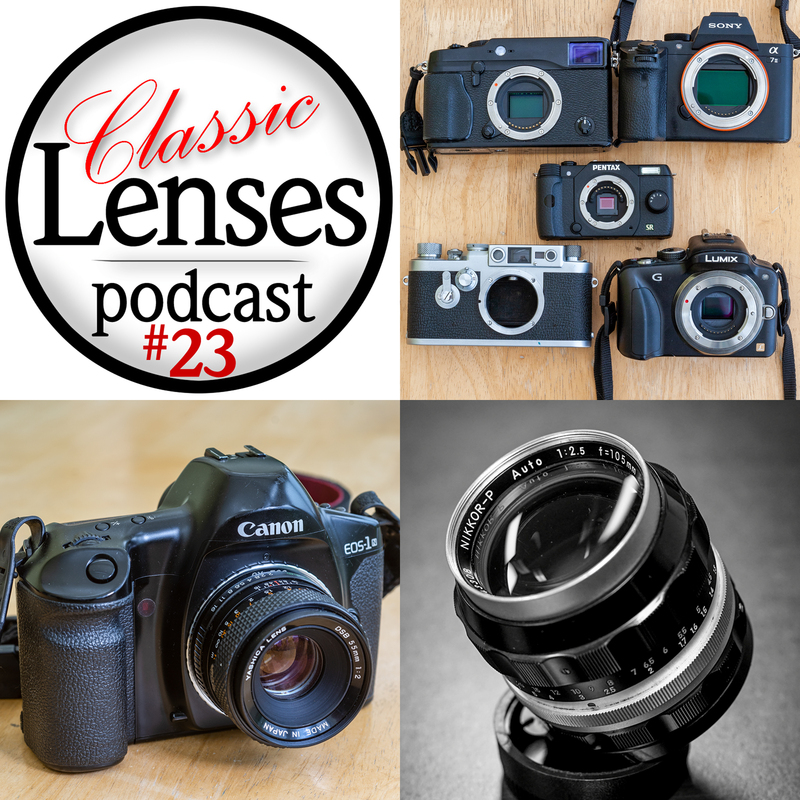 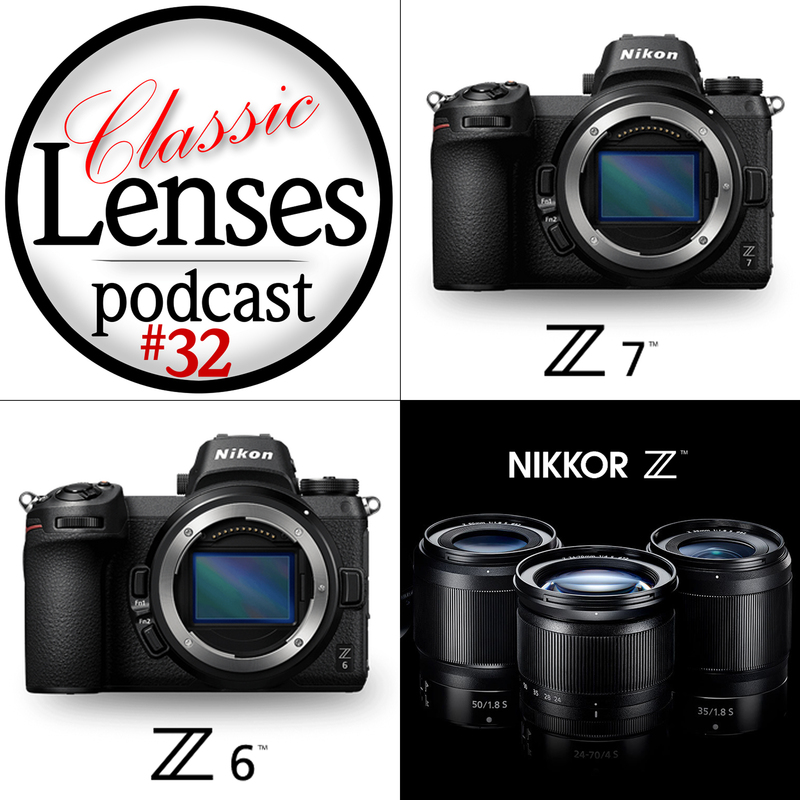 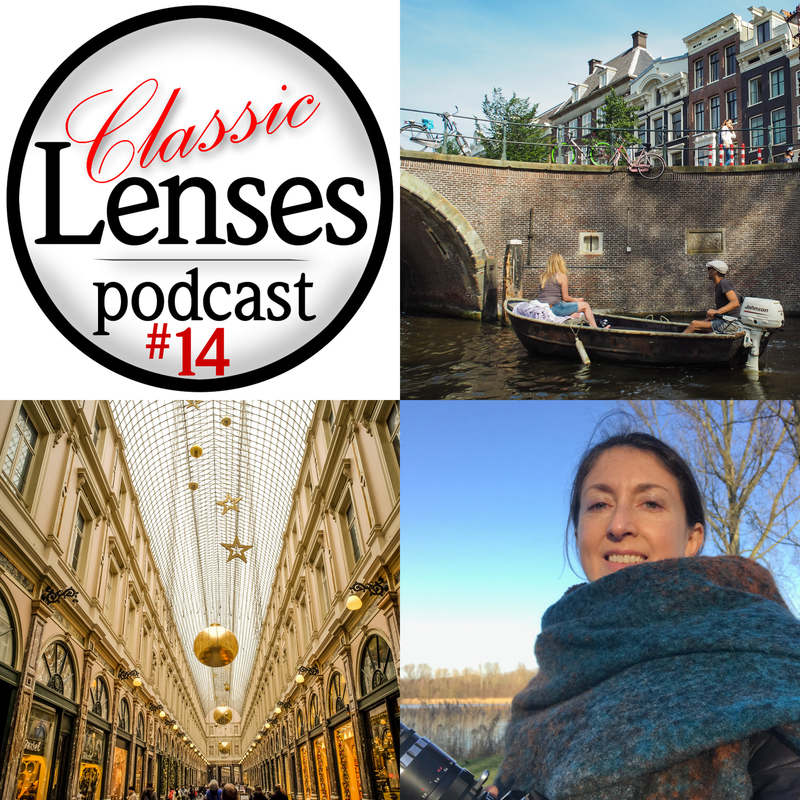 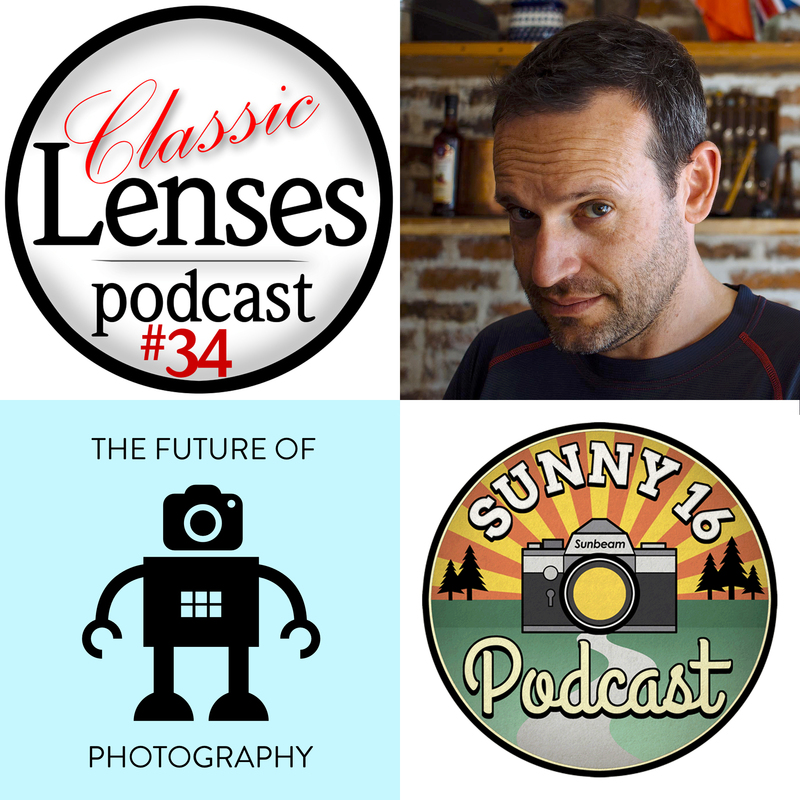 In this episode, Karl Havens, Johnny Sisson and Simon Forster talk about three lenses we like and why? 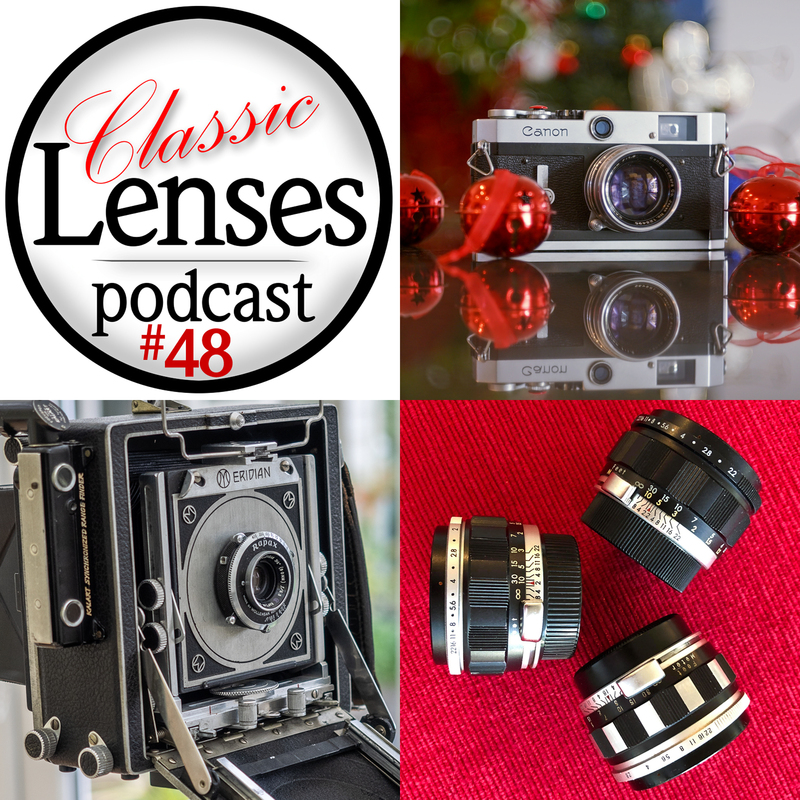 The three lenses are the Helios-103, Voigtlander Super Wide Heliar 15mm f/4.5 and the Contax Yashica mount Carl Zeiss Planar 50mm f/1.4. 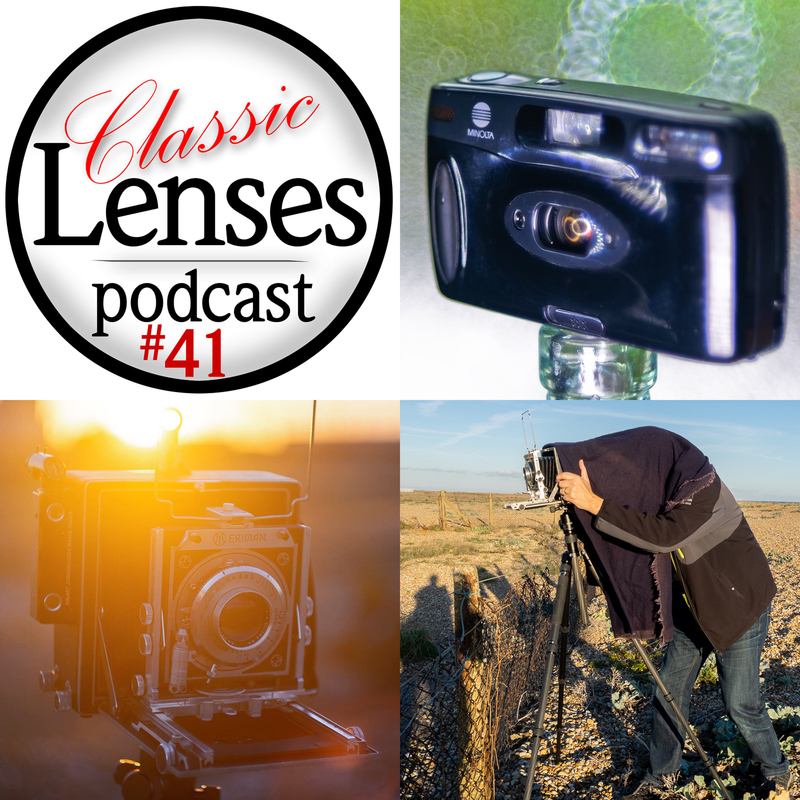 #01 Who are we and why are we here?